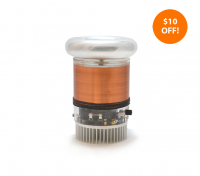 tinyTesla is an SSTC mini musical Tesla coil kit with USB connectivity. Ideal for beginning and advanced Makers alike! We highly recommend that you get a spare set of IGBTs, as they are typically the first components that need replacement. 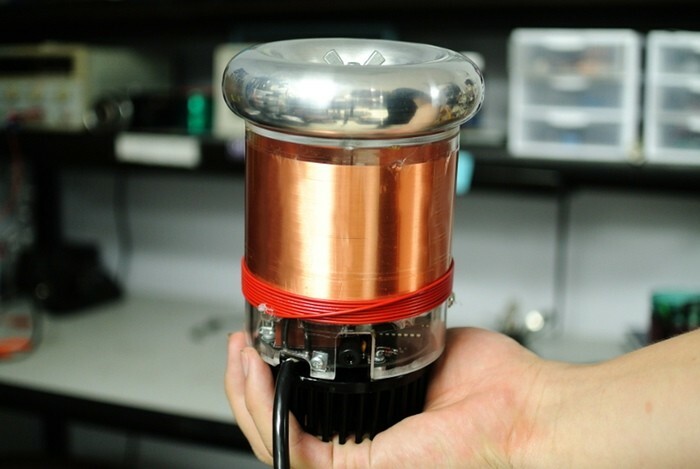 tinyTesla is the SSTC DIY mini musical Tesla coil kit that anyone can build. Heat up your soldering iron and prepare your tools! Once complete, tinyTesla shoots four-inch sparks, plays music and wirelessly excites fluorescent tubes. ○ The completed kit shoots sparks up to 4 inches long! 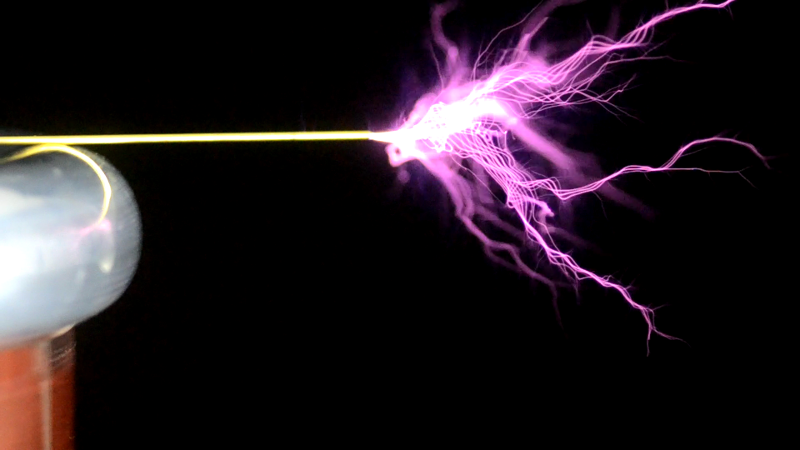 ○ A USB interrupter allows you to control your Tesla coil from a laptop. ○ Play MIDI files and make music using the sparks themselves! 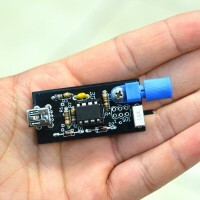 ○ tinyTesla's small size and low component count makes it easy to assemble. 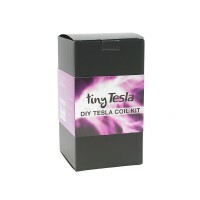 ○ Ideal for newcomers to the Tesla coiling hobby, as well as seasoned DIY electronics enthusiasts. 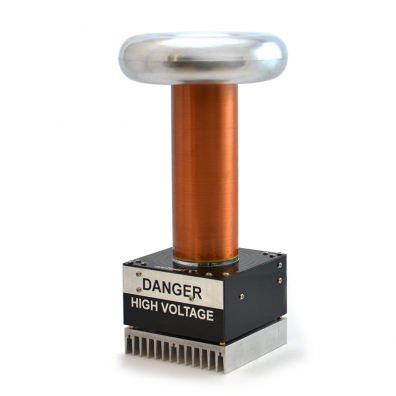 ○ SSTC Tesla coil design ensures reliability in a variety of environments. 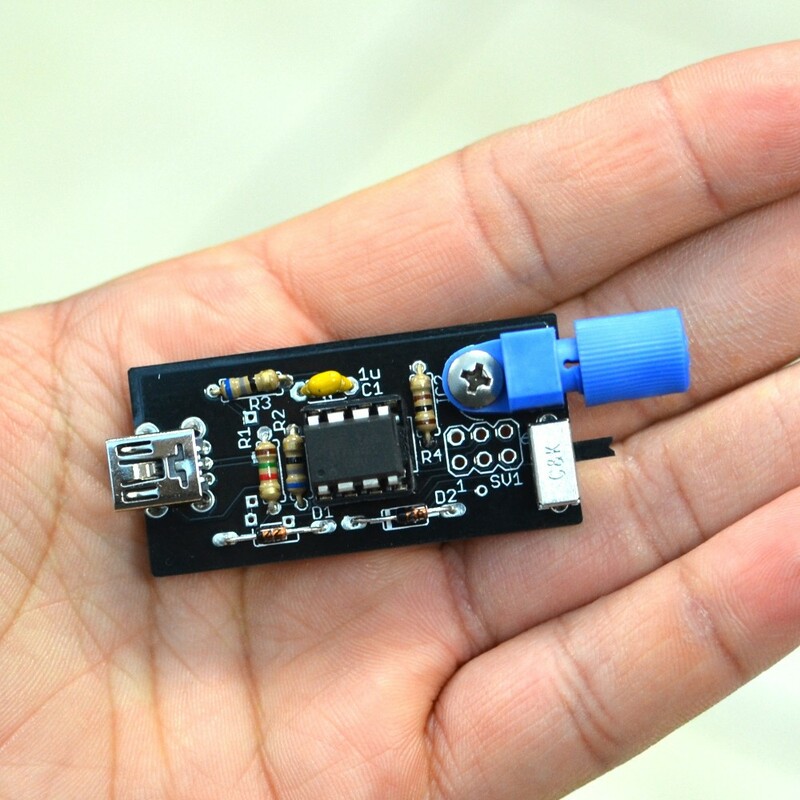 tinyTesla is easy to build thanks to a low component count, making it ideal for budding coilers who are seeking a first coil, students looking for an eye-catching science fair project, or the casual electronics enthusiast looking for an exciting new gadget to build. By taking advantage of modern technologies and machine-wound secondaries, it achieves a small, compact size. And at under 50W of power (during typical usage), tinyTesla opens up a wide array of exciting operation and installation possibilities. 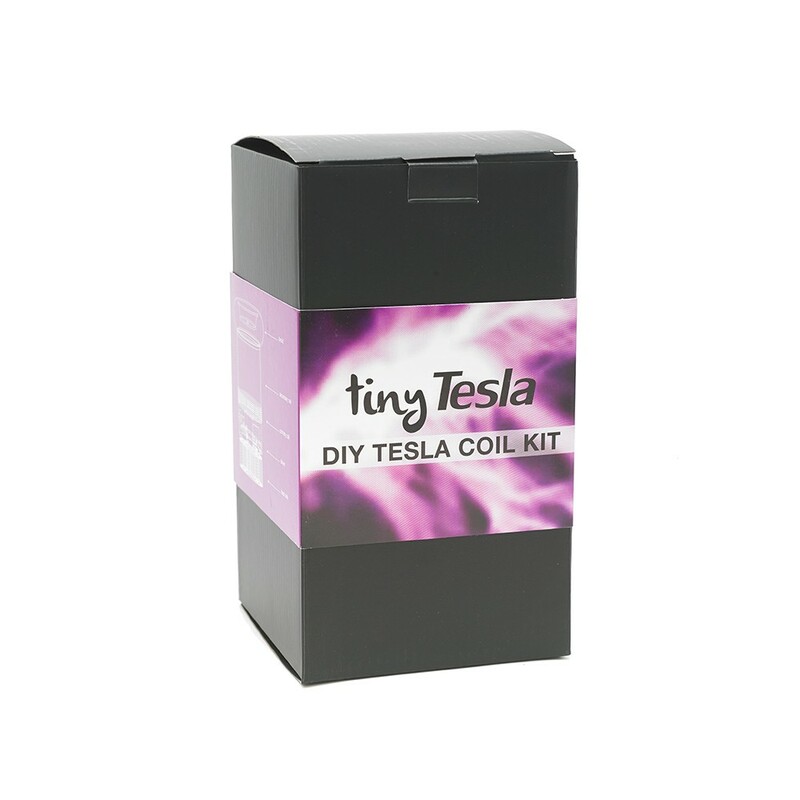 The tinyTesla kit comes with all of the electronic and hardware components you need to build your singing Tesla coil. 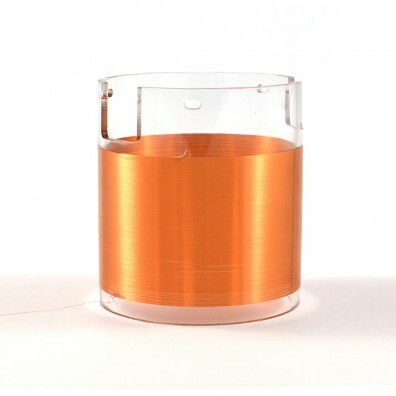 A pre-wound secondary coil on a clear acrylic former is included, so that you won't have to wind 600 turns of hair-thin wire by hand! 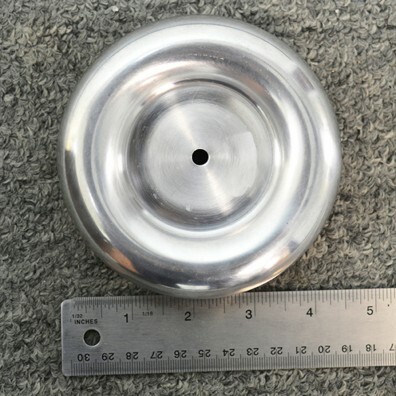 We also include a beautiful spun metal toroid, extruded anodized chassis for the USB interrupter, weighted breakout point, and other accessories. 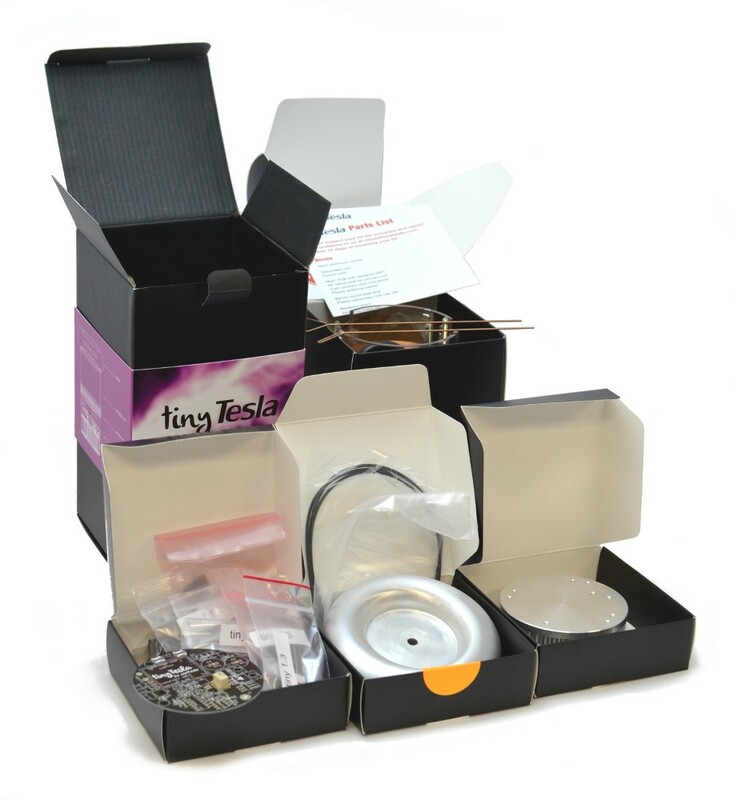 You will need a soldering iron, paint-on or spray-on varnish, and hand tools to build the kit. tinyTesla is the first of its kind as a USB-controlled SSTC Tesla coil kit. The interrupter connects directly over USB to a Windows, Mac, or Linux laptop and operates as a standard USB MIDI device. This means it will work with your favorite MIDI software out of the box. We also offer a downloadable, simple-to-use control panel for basic song playback and MIDI analysis. For those looking for a richer feature set, tinyTesla is also compatible with our SD card interrupter, which has a MIDI-in jack for connecting to instruments and standalone file playback from a Micro SD card. For a full list of parts, click here. We highly recommend purchasing a set of replacement parts should something go wrong during assembly or testing—having a fresh board and set of components can save you hours of frustrating debugging or repair. For added functionality, consider adding on an SD card interrupter. Please note that all kits come only with a standard U.S. plug, and that you will need to supply an adapter for use in other countries. Please note: The included power cord has a U.S. plug. International customers will need to purchase their own adapter.